At Royal Wholesale, we have the largest selection of Asher’s brand candies and chocolates. 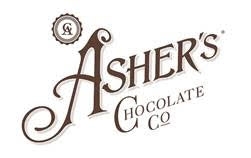 With our unbeatable prices, stock up on Asher’s chocolates for any occasion and save money! Shop our wholesale 6lb Asher Milk Chocolate Caramel Truffles or our festive 6lb milk chocolate Asher Cordial Cherries in red foil. With all of our Asher’s Chocolate selection, it’ll be hard to choose which candies you want! Buy wholesale Asher’s Chocolates online directly with Royal Wholesale today! At Royal Wholesale Candy, we want to provide retailers around the world with the best experience of buying wholesale candy online.